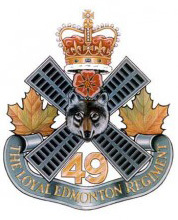 Submitted by Captain Rick Dumas, The Loyal Edmonton Regiment. On Friday 21 July, the annual K-Days Parade kicked off one of Edmonton’s biggest summer festivals with thousands of people lining the streets to take in the festivity. One of the themes included celebrating Canada’s 150th Anniversary and as a way to mark the occasion Second World War and Korean War Veterans were invited to be honorary parade marshals for this year’s event. 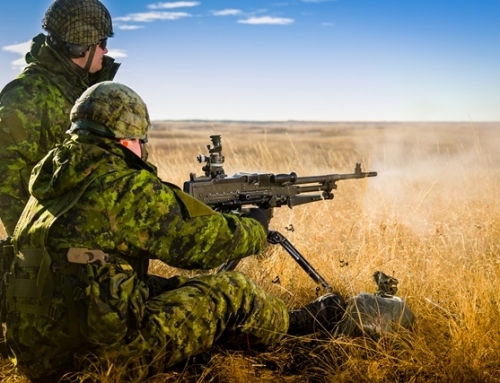 World War Two veteran, Mr. Bert Plowman, represents the best of his generation having fought at Ortona and the Liri Valley with The Loyal Edmonton Regiment. Korean War veterans include Mr. Jean-Pierre Van Eck – then serving with the Dutch Army, Mr. Gene Bince – an army medic, Mr. Ed Morley – 1 PPCLI and Mr. Lyle McIvor – fought with 2 PPCLI. Captain Richard Dumas and Master Corporal Lindsey Eckert were escorts to the Honorary Marshals. Included in the parade were vintage military vehicles on behalf of the Military Vehicle Preservation Association. Compliments go out Mr. Jamie Melo who drove the 1943 Command Staff Car, Warrant Officer Dave Bergt (SALH) the Iltis driver and Mr. Sung Yoon the G Wagon driver. Our veterans have fiercely upheld our values allowing us the freedoms we enjoy today while having a voice on the world stage. We all have so much to be grateful for as we celebrate Canada’s 150th birthday. After having completed breakfast at the Hotel MacDonald, hosted by NORTHLANDS, the veterans take a quick photograph with the Mayor of Edmonton before departing for the marshalling sight. From left to right are: Master Corporal Lindsey Eckert, Mr. Bert Plowman, Brenda Robinson (standing) Mayor Don Iveson, Mr. Gene Bince (standing) Mr. Ed Morley, Mr. Jean-Pierre Van Eck (standing behind Ed) and Mr. Lyle McIvor and Captain Richard Dumas standing behind. The marshalling stage complete, parade paquets start to deploy as the Honorary’s Second World War Command Staff Car awaits – commanded by Loyal Eddie, Bert Plowman. The Edmonton Police Service Pipes and Drums has already began to lead the way as the RCA Band and 1 CMBG contingent make ready. The EPS Pipes and Drums are affiliated with the PPCLI and The L EDMN R.
Pictured is a one-in-a-million shot; a nine month old grandson is waving back at his grandfather (Kapyong vet – Lyle McIvor, riding in the G Wagon), who thinks he’s waving the flag at him while on TV. Little did Grandpa know that looking directly into a “random” camera would lead to this. Wow….